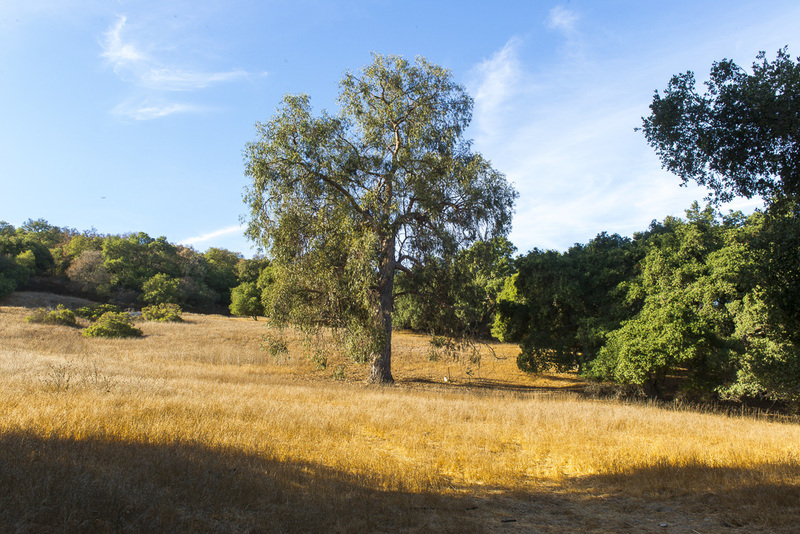 A good place to start a visit to Topanga State Park is Trippet Ranch, once a "gentleman's ranch" for a weekend getaway from the city. From Pacific Coast Highway, travel north on Topanga Canyon Boulevard, pass the post office at the center of "town," then turn right on Entrada Road. Keep to the left at every opportunity until you reach the park's main parking lot (about one mile). From the Ventura Freeway (101), exit at Topanga Canyon Boulevard, drive south over the crest of the mountains and proceed three miles to Entrada Road and turn left. Please note that dogs are not allowed on the park trails, fire roads, or in the back country. The PDF file below contains locations that allow Dogs. 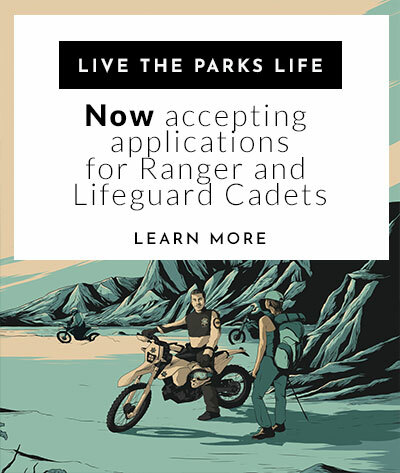 The park is located entirely within the Los Angeles city limits and is considered the world’s largest wildland within the boundaries of a major city. Excellent recreational opportunities for hikers as well as mountain bikers (restricted to fire roads) and equestrians. 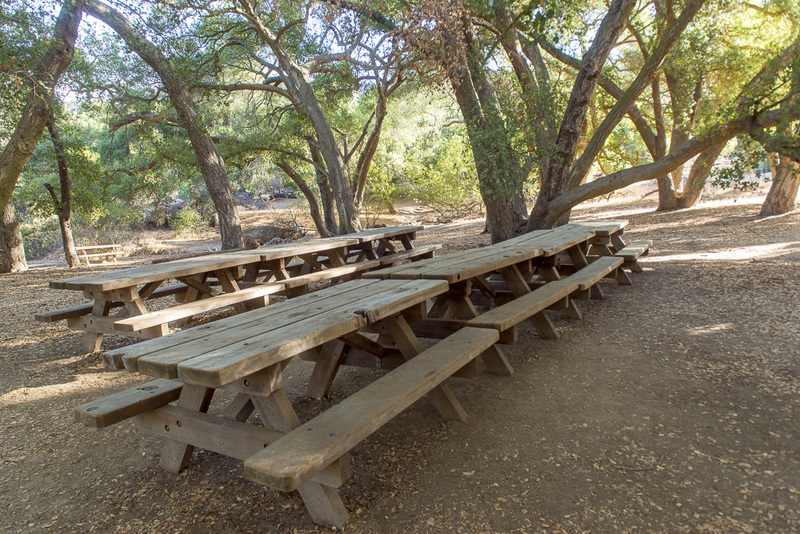 The park is bound on the south by Pacific Palisades and Brentwood, on the west by Topanga Canyon, and on the east by Rustic Canyon. Numerous geologic formations can be found in the park, including earthquake faults, marine fossils, volcanic intrusions, and a wide variety of sedimentary formations. Many of the park's trails can be accessed from Trippet Ranch. The Musch Trail leads north to Musch Trail Camp by winding in and out of the sun and shade where plant assemblages change with every subtle difference in light and moisture. Two miles from Trippet is Eagle Junction, where hikers encounter the Eagle Spring loop trail. Eagle Rock, one of the many boulder outcrops on the trail, looms over the terrain and provides panoramic views of the park. 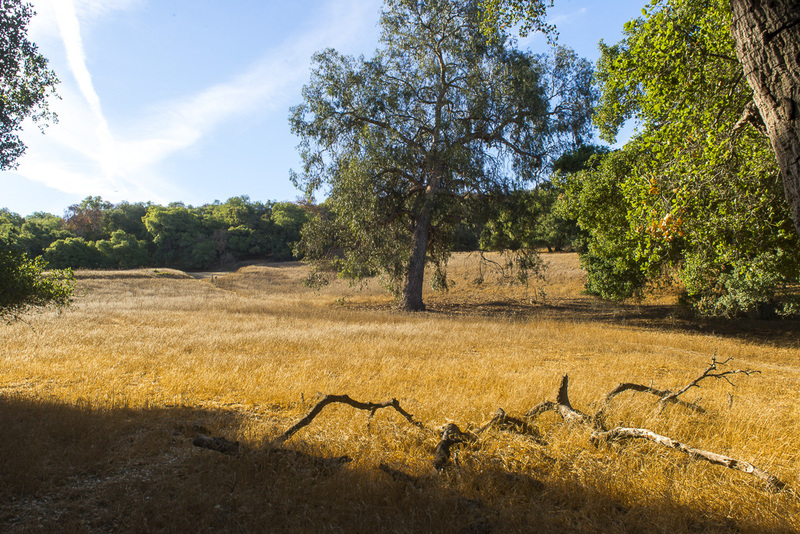 At the eastern end of the Eagle Spring loop, hikers will come to the Hub Junction and the Temescal Fire Road. 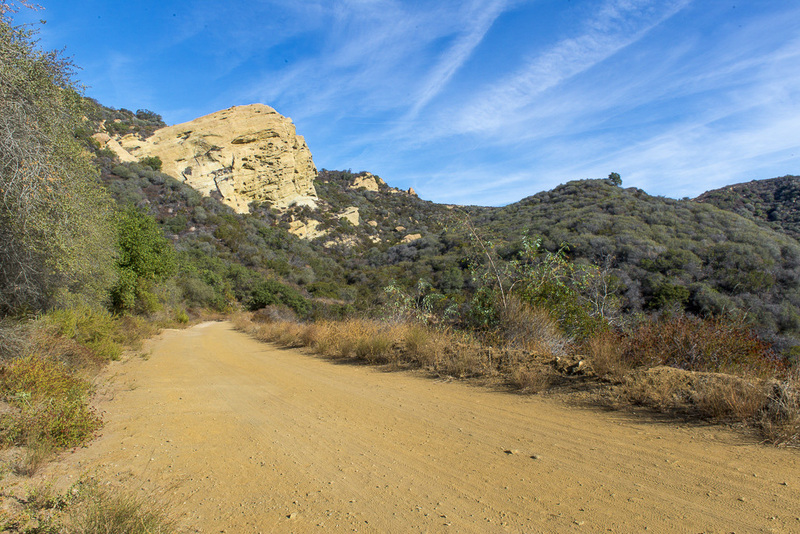 Going north, hikers travel through chaparral to unpaved Mulholland Drive, which traverses the park. South on Temescal Fire Road takes hikers high above the wild canyons with sycamore and oak riparian forests below. 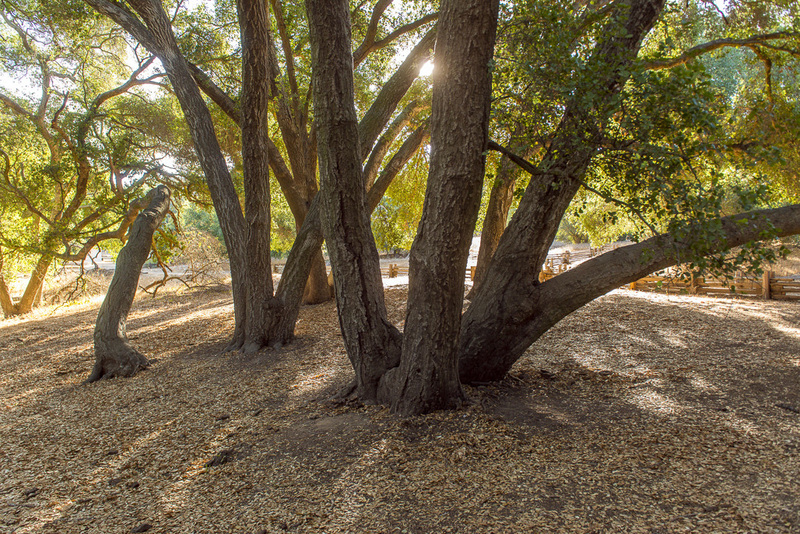 At Rogers Junction, hikers can opt for the Backbone Trail, a trail that winds through the Santa Monica Mountains from Will Rogers State Historic park in the east to Point Mugu State Park in the west. Rustic Canyon can be seen from the Backbone Trail. 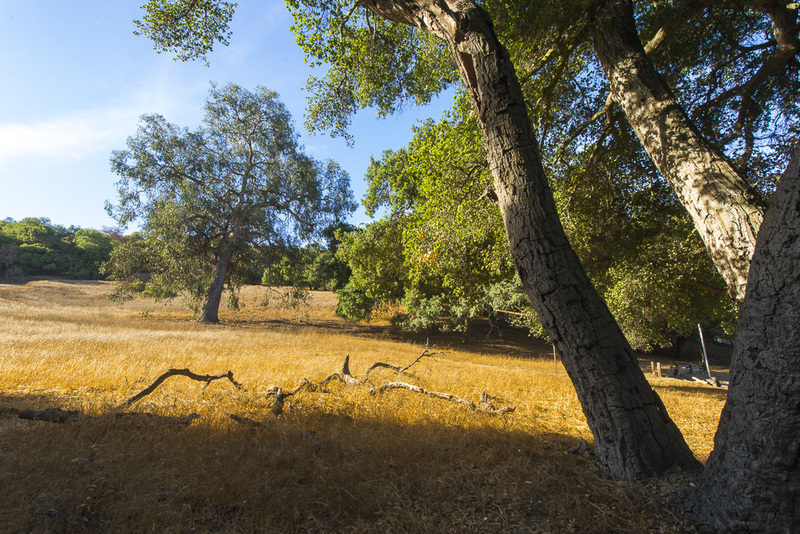 Another option from Trippet Ranch is to walk east to the Topanga Fire Road and then north for a short distance to the Santa Ynez Trail. Descending into the Santa Ynez Canyon, hikers can see crumbly sandstone formations containing pockets where moisture can collect, supporting numerous small plants that form tiny cliff gardens. Close to the bottom of the trail is a side trail leading to a lovely waterfall. The overnight facilities are hike in primative camping only, the access is via a single track trail leading in and out. Information on flowers blooming in the park. Please be advised, the nearby Topanga Beach is managed by LA County Beaches & Harbors, and does not accept the Annual Day Use Pass.